United in Love – United in Christ is a six session marriage enrichment series that explores God’s awesome plan and promise for spouses. It provides practical steps in building on what St. John Paul II taught to be the “infallible” and “indispensable” way to a truly united and faithful love. United in Love is intended for married couples, to be used in small or large group gatherings, at home or in a parish. The content of the program will use Sacred Scripture, the Catechism of the Catholic Church, magisterial documents, and quotations by holy men and women, as well as personal stories from couples who are striving to live out their marriage in Christ. Strengthen couples in their love for God and each other. Offer greater insight into God’s plan for marriage. Encourage development and growth in the prayer lives of the spouses. Foster a deeper appreciation and living out of the sacraments. Provide practical suggestions to assist couples in living out their vocation faithfully and joyfully. Build up parish life and promote the sacramentality of Marriage. Highlight the importance of Mary for marriage and family life and encourage Marian devotion. Jason and Elise Angelette have created a beautiful gift through this video series! They have been able to transcend the cold technology and reach the viewers in a personal and authentic level. It draws the viewers in leaving them feeling inspired, drawn to Jesus, full of gratitude for each other and armed with the witnesses of other couples to help strengthen their own marriage fundamentals. The series does not leave you where you are, but through sincere stories of couples transports you more closely to Jesus and each other. We are so grateful to have participated in this series! 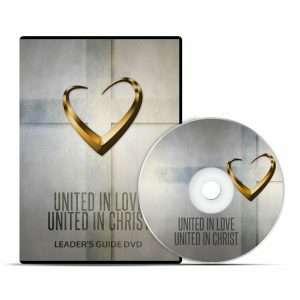 United in Love, United in Christ, is not only a beautifully produced video series but chocked full of critical marriage-saving testimonies. This series is full of biblical truth is tailored to the realities of married life. It is a countercultural message that our church communities are starving to hear. United in Love, United in Christ is rooted in the depth and thought of St. John Paul II's anthropological vision of the human person and marriage. By articulating God's plan for marriage and family through the beauty of the Church's teaching, this resource provides an engaging program that is easily assessable for couples and is rich in content. United in Love, United in Christ will help strengthen marriages in their vocations as visible signs of God's love in the world and help couples to live more fully the richness of their sacramental union. Having an effective resource for marriage enrichment is critical; we cannot do enough for strengthening marriages today. I believe United in Love, United in Christ would be a highly effective and necessary resource for marriage enrichment in the work of the New Evangelization. I look forward to using this program in my work in the pastoral ministry of marriage and family life. On behalf of the Alexander House Apostolate, Julie and I have been engaged in building and strengthening marriages for the past 14 years. Through our work with couples we have noticed that one of the areas that is severely lacking in most marriages is that of spiritual intimacy. 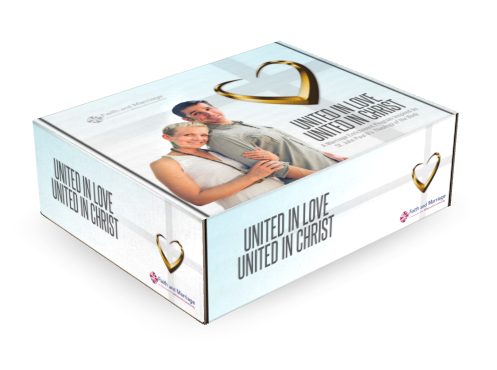 We have not only seen the contents of "United in Love - United in Christ" but we have also presented the program on several occasions and the response of the participants was outstanding. We look forward to the published version so that we can continue to bless couples with the "gift" of this program; especially as we conduct our Great Marriage Challenge as well as having it on our website as a resource for those couples who seek us for help. It was an amazing experience! I am still talking about it! It has truly changed Steve and my lives! United in Love, United in Christ has proved to be a great success ... We can't say enough how wonderful everything went from the beginning to the end. Every evaluation that we collected from couples had awesome comments on everything including the atmosphere and decorations, the individual couple presentation, the group sharing and the "Just the Two of You" alone time. 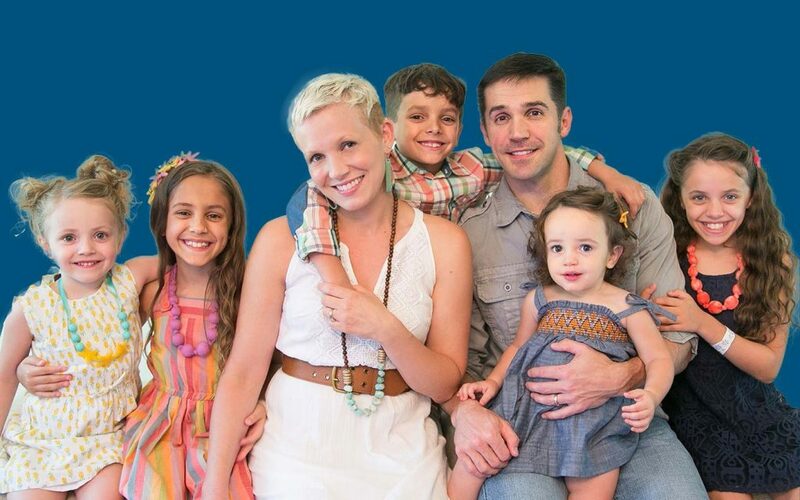 Jason and Elise Angelette have been married since 2002 and have five beautiful children! Since 2007 they have held the position as the Co-Directors of the Faith and Marriage Apostolate of the Willwoods Community, a Catholic non- profit in the Archdiocese of New Orleans. Jason received a Masters in Theological Studies from the Pontifical John Paul II Institute for Studies on Marriage and Family at the Catholic University of America. His experience includes teaching theology at the high school and college levels as well as working on and speaking at various retreats and events nationwide. He is also the co-host for a weekly television program on WLAE entitled Issues and Faith. Elise graduated from Franciscan University of Steubenville with a Bachelor of Science in Early Childhood Education. She then taught Drama and Kindergarten in Covington, LA, followed by a First Grade teacher position in Alexandria, VA. Elise has been involved in music ministry, as well as retreat leadership and speaking ministry for both teens and young adults.